Charles Fombrun, Founder & Chairman of the Reputation Institute, a private research group devoted to researching, measuring, and valuing corporate reputations.Dr. 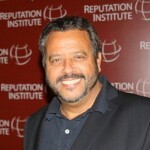 Charles Fombrun is Founder and Chairman of Reputation Institute. He is a former Professor of Management at the Stern School of Business, New York University.